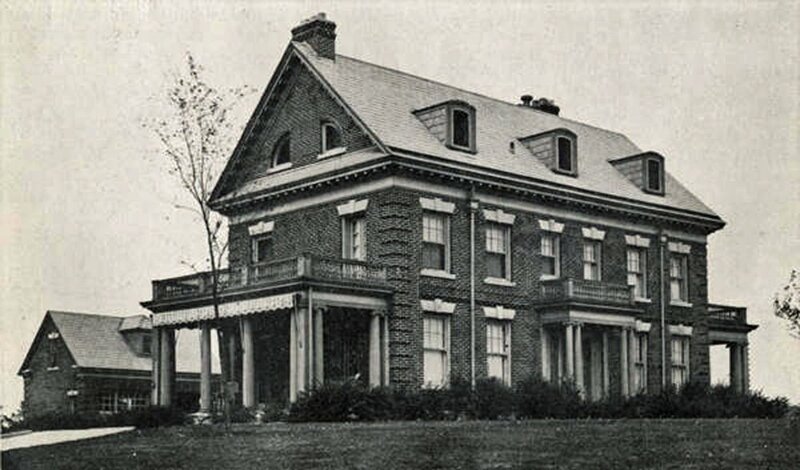 ...the trustees of the Upper Arlington Historical Society decided in 1983 to explore the possibility of a national register nomination for "Old Arlington." All structures fifty years old or older could be considered for classification as contributing structures. As defined in the National Park Services' website, "a building contributing to the historic significance of a district is one which by location, design, setting, materials, workmanship, feeling, and association adds to the district's sense of time and place, and historical development." In Upper Arlington's case, buildings were evaluated on their representation of Twentieth Century Revival architectural styles. For the next year-and-a-half, members of the National Register Committee and other volunteers were involved in doing the historic research, building inventories, and photographic documentation necessary for the completion of the nomination. This daunting task was aided by a few grants from the Upper Arlington Foundation to assist with the cost and development of the film. In the end, over 900 of the approximately 1,120 buildings in the 536-acre district were designated as contributing structures. Is your home a contributing structure? Go to uaoh.net and search "Contributing Structure List." "For the first time in the Columbus area, at that time a city of less than 250,000, an effort was made to develop a community with spatial openness, complemented with parks, school, civic center and shopping facilities, and centered in a residential area composed of mostly single family homes. The construction that took place in this setting was of high quality, generally designed by area architects and of early Twentieth Century Revival style." After passing many stages of review and approval, in October of 1985 the Upper Arlington Historic District was listed on the National Registers of Historic Places by the Park Service of the United States Interior. Historic markers on stone piers are now in place, including one at the original entrance to the Upper Arlington community at Fifth and Cambridge Avenues.